Are the delicious dishes that came out of our kitchen this weekend. Besides the spicy, fruity, home baked Hot cross buns I gobbled up as soon as the oven door opened and the dozens of Easter eggs that disappeared down the hatch we also enjoyed delicious starters, salads and desserts. Precious was so inspired by the Mussels steamed in white wine that I had on Saturday for lunch that he went off at low tide to harvest some himself. These we soaked in cold water, he scrubbed until his shoulders hurt and his fingers bled and as his assistant I painstakingly pulled out the beards. My take on this classic French dish was divine, even if I say so myself! Served with crusty French bread, lots of garlic and cracked black pepper, it’s a winner. Steam 30-50 large, scrubbed black mussels in a large pot. Once the water boils, add the mussels (either in the steam basket or added to the water) steam for approx. 8 minutes or until all the shells open. 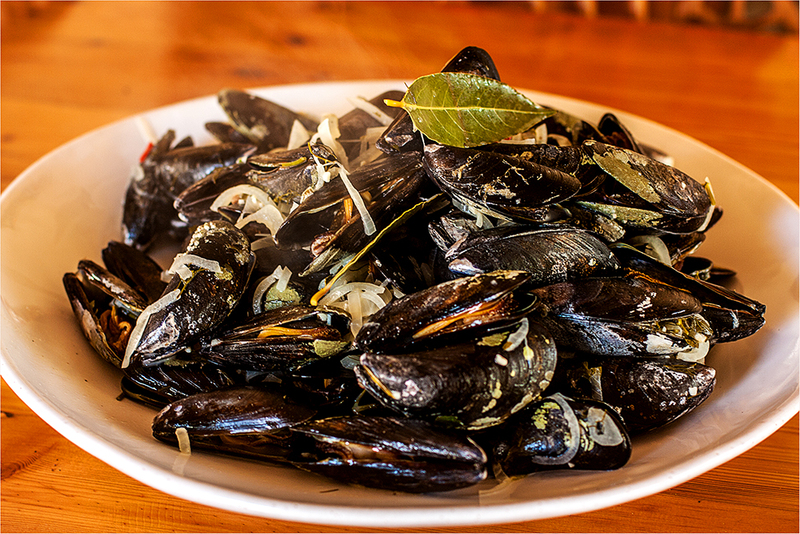 Steam the Mussels in batches of 15 mussels at a time. Do not use any unopened mussels. In a large saucepan heat the olive oil, add the chopped onion, garlic and chilli, sauté until the onion has softened and is glassy. Turn up the heat slightly, add the white wine and bay leaf, boil until the wine has reduced by half and all the alcohol has evaporated. Taste and season as desired with a really good grinding of pepper. Serve in individual bowls with a crusty French loaf. Pile the vegetables onto a large platter, garnish with rocket leaves. Serve Yoghurt dressing on the side, each guest spoons as desired onto the salad. Poached chicken breast may be used instead of the prawns. Pour the lime juice into a small bowl, add sugar, and stir to dissolve. Add the rest of the ingredients, stir and dress salad. 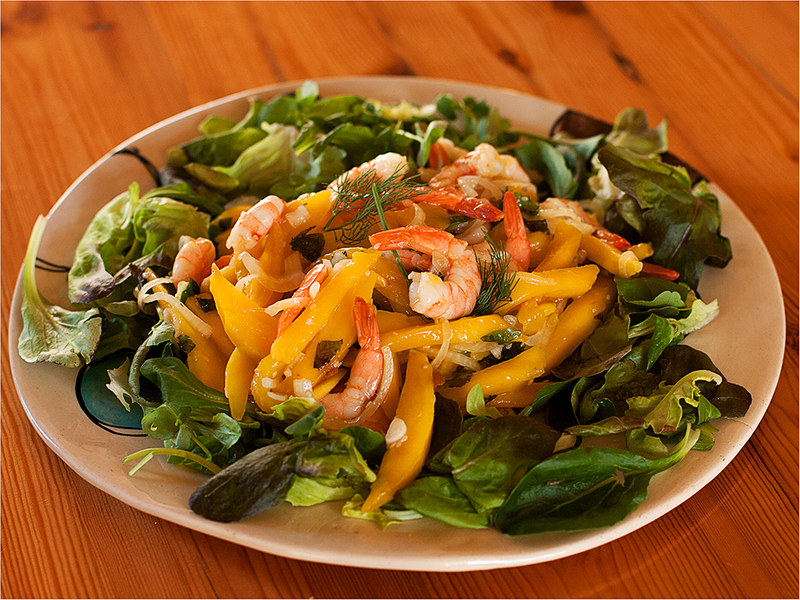 In a large mixing bowl place the mango, poached prawns, onion, 250ml mint and basil, 10ml sesame seeds and dressing. I added some mixed lettuce and herb leaves for crunch and colour. HEAT AND MELT all the above ingredients in a saucepan. Whisk the liquids into the dry ingredients; pour into a buttered ovenproof dish. Make the sauce and pour carefully, using the back of a tablespoon placed just over the pudding to guide the liquid evenly over the top of the pudding and to prevent a hole being formed by the poured liquid. Bake at 180°C for 30 minutes. Mix all the ingredients together, stir until sugar has melted, and pour over the pudding. 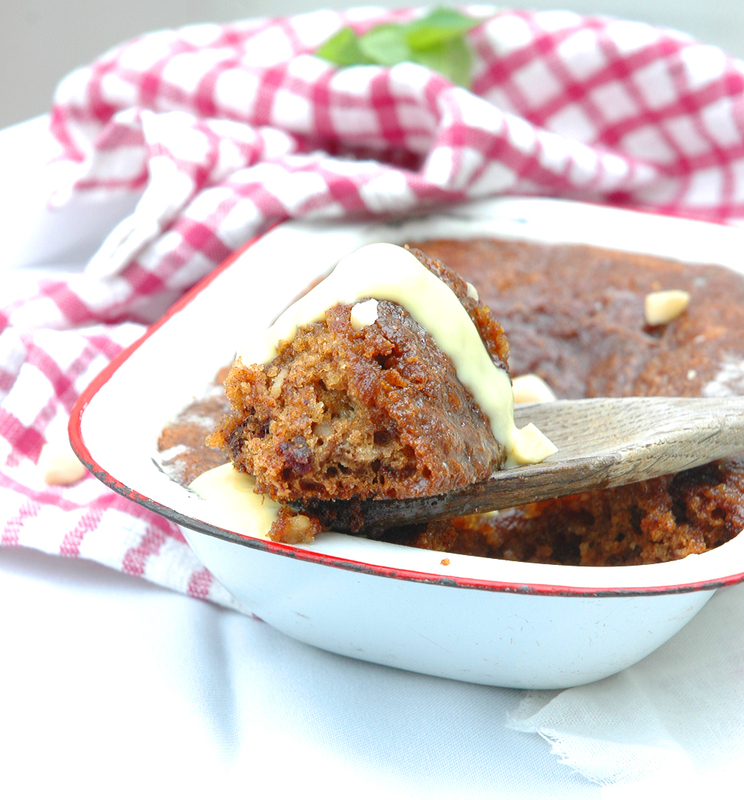 EXTRA CRUNCH: cracked walnuts may be sprinkled over the top of the pudding before pouring the sauce over the top. 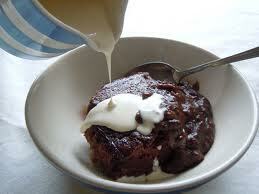 EXTRA EXTRAVAGANCE: cracked chocolate blocks may be plunged into the pudding before saucing too. I’ve added white chocolate which gives a marbled effect. This traditional Cape pudding has stood the test of time; unless you have this recipe in your repertoire you can’t call yourself a Bolander. Cream the butter and sugar until pale and fluffy, add the eggs one at a time giving a good whisk after each addition. Whisk in the apricot jam. Add the bi-carbonate of soda to the milk, stir until dissolved, add the vinegar, the mixture will become foamy. Fold the dry ingredients into the butter mixture adding the liquids in increments. Pour into the buttered baking dish and bake for 45 minutes. Mix all the ingredients for the sauce in a saucepan, bring to the boil. Pour the hot sauce over the pudding as soon as it’s removed from the oven. A weekend without a walk-about is unheard of. On Good Friday morning we were served coffee, Hot Cross buns and Easter eggs in bed, after a leisurely morning of chatting and catching up we headed off to Honingklip Brewery (situated on the road to Hermanus from Cape Town, just before the Kleinmond turn-off) for a luncheon on craft beer and Wally Everson’s divine Cloudy Apple cider. 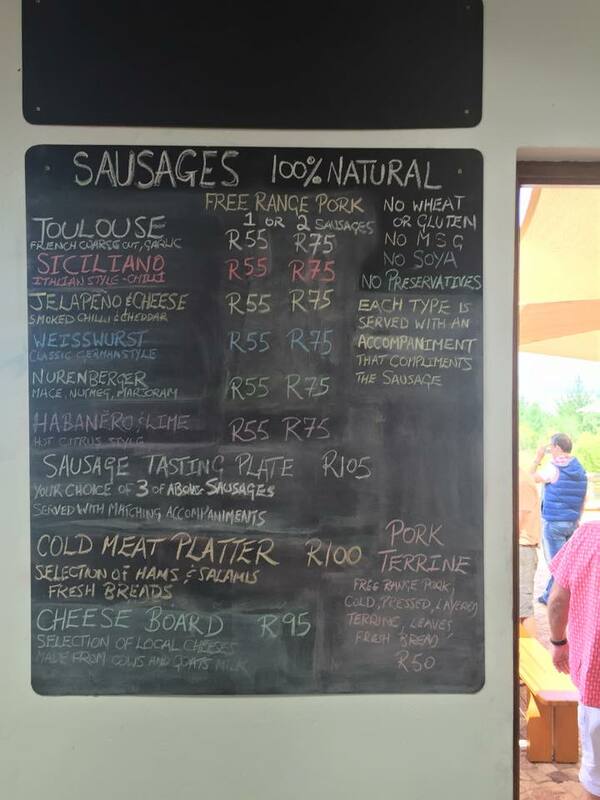 For lunch we had the Chef’s speciality platters of three various pork sausages and accompaniments, a duck salad and Mushroom Risotto, which was yummy, nutty and full of delicious flavour. The Jalapeño sausage lives up to its name it’s HOT! 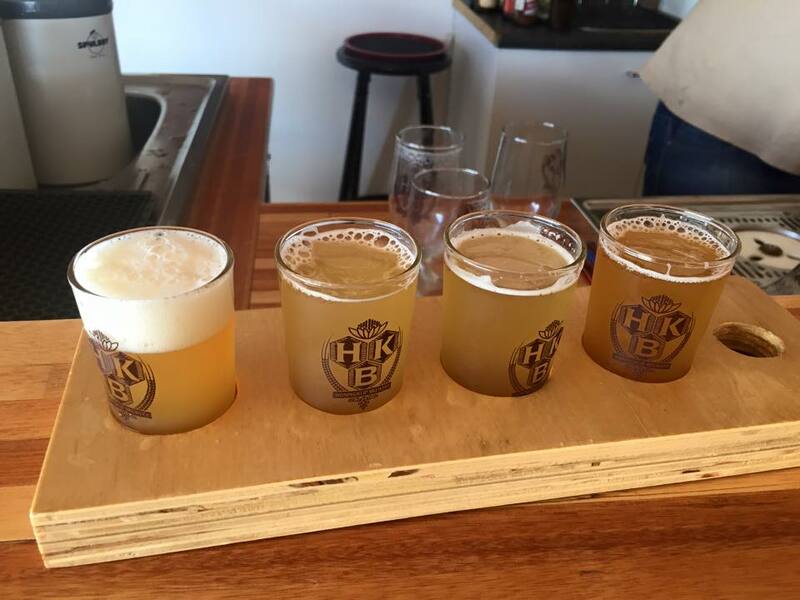 The beer tasting looked interesting and comes highly recommended; I think the Blonde beer is a favourite. This wasn’t our first visit and it certainly won’t be our last! 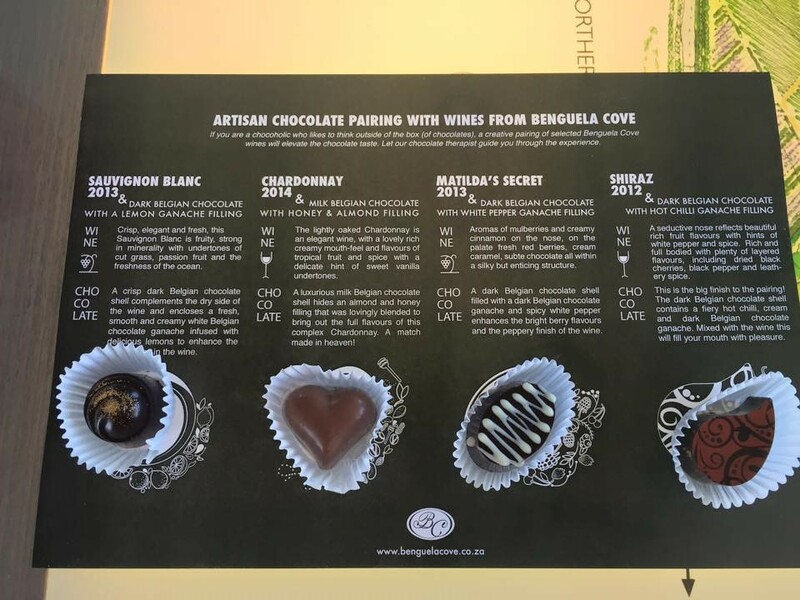 We didn’t stay for dessert but made a quick right turn into Benguela Cove for the Artisan Chocolate and Wine Pairing. A beautiful, lifestyle estate with vineyard, cellar and tasting room. The views are magnificent. We had coffee and Precious went home with a case of wine. Now I’m going to toast the very last Hot cross bun to have with my mug of coffee on the stoep, while I watch the sunbirds and Cape Robins. P.S Tittilating, Tantalizing and Teaser can refer to food!